JBJ now offers a variety of Rimless tanks both for freshwater and saltwater. Unique features not currently found on other tanks are the Optional Unibody LED aquarium light. The JBJ Unibody comes in a silver color that allows you to purchase upgrade colors so you can swap out the look of your LED illumination. 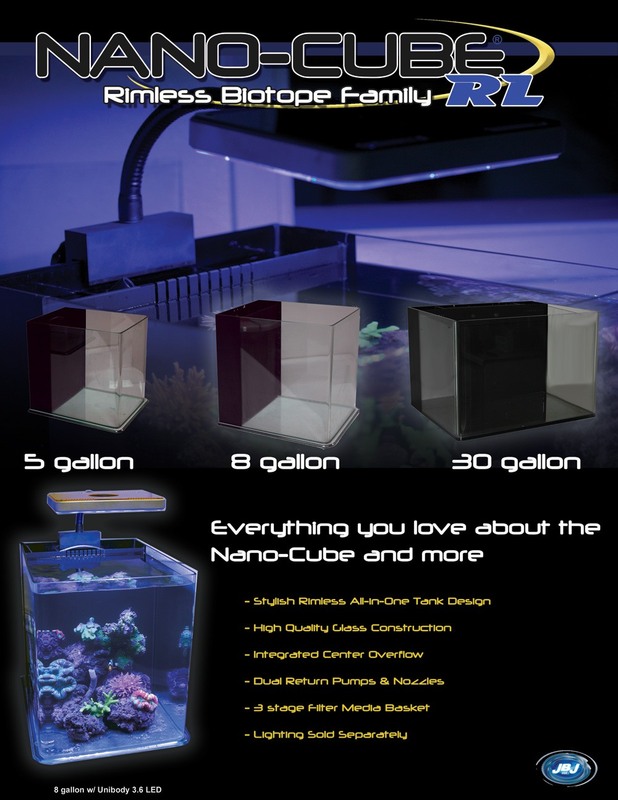 The Rimless All Glass Aquariums come in 3 sizes: 8 gallon, 30 gallon, and 45 gallons.